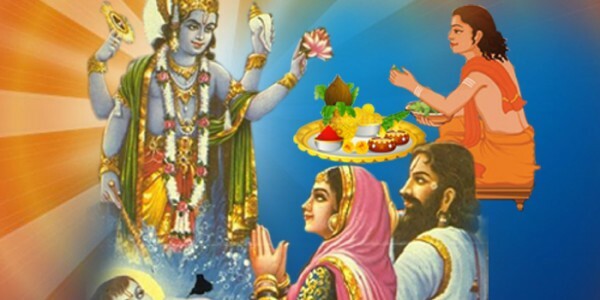 Naamkarma is the sansakara which is considered for the naming of child in Vedas and sometimes Jaatkarma and Naamkarma sansakara are performed together. This ceremony is very important and highly traditional to give a sacred name to the child, which is assigned as per the 212 divisions of 27 Nakshatra and also according to the position of the moon at the time of birth of that child. In this sansakara, an appropriate name is offered to the child as per the star of birth, and in this, first letter of child’s name is taken from the Hora Shastra that showers blessings of gods and goddesses on child’s life. Naamkarma’s Idiosyncrasies • Chanting of mantras play vital role in channelizing positivity in child’s life • Ensures blessings of respective gods and goddesses • It quite effectively purifies all the negativity associated with child’s birth • Provides best protection to child for all his life time Noticeable Benefits of Naam Karma • Removal of all types of planetary negativities • Effectively channelizes strength and positivity • Provides empowerment to new born by naming him according to vedic rituals • Guides towards a path of constructive growth • Helps in getting blessings of gods for lifetime Benefits of Puja Yagya’s Naam Karma Sanskara • Fully assured accuracy in arrangement of Naam Karma sansakara that showers blessing of responsible gods and goddesses quite aptly • Accurate, authentic and transparent conduction of all the sansakara either in Online or Offline mode that offers fulfillment to you • We have Pundits and Purohits who are fully aware of Naam Karma Sanakara because they are Gurukul trained Purohits and they assure blessings of gods and goddesses in the most fitting manner • Puja Yagya is most convenient, reputed and excellent Hindu Puja service provider in United States of America.